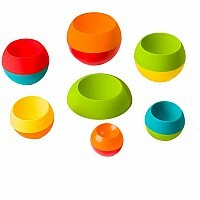 Six spheres nest inside each other, each a different weight allowing for endless configurations. 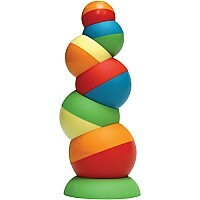 Deconstruct your tower and watch the pieces wobble. 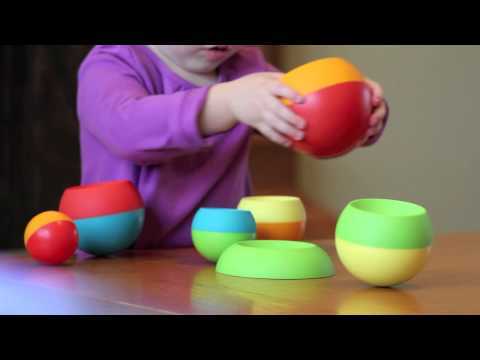 Flip the spheres upside down and build it all over again. 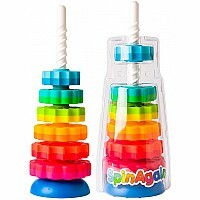 Spin the pieces round and round, stack by size, weight or color the possibilities are endless. Little hands will delight in the never-ending discovery of Tobbles. 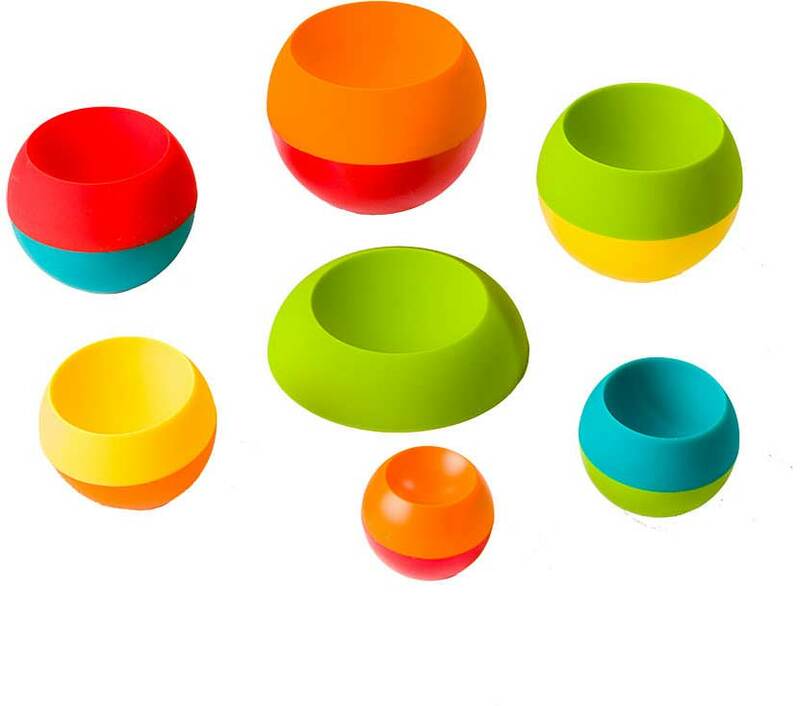 The wobbling motion of each piece encourages a sense of touch while stacking the spheres high to form colorful creations will develop hand-eye coordination with the added bonus of discovering balance. 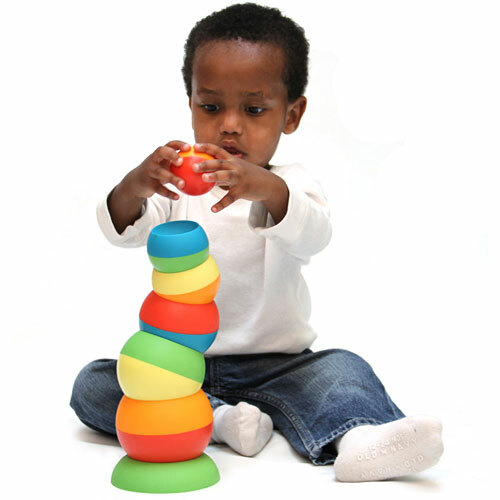 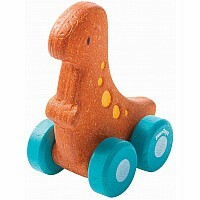 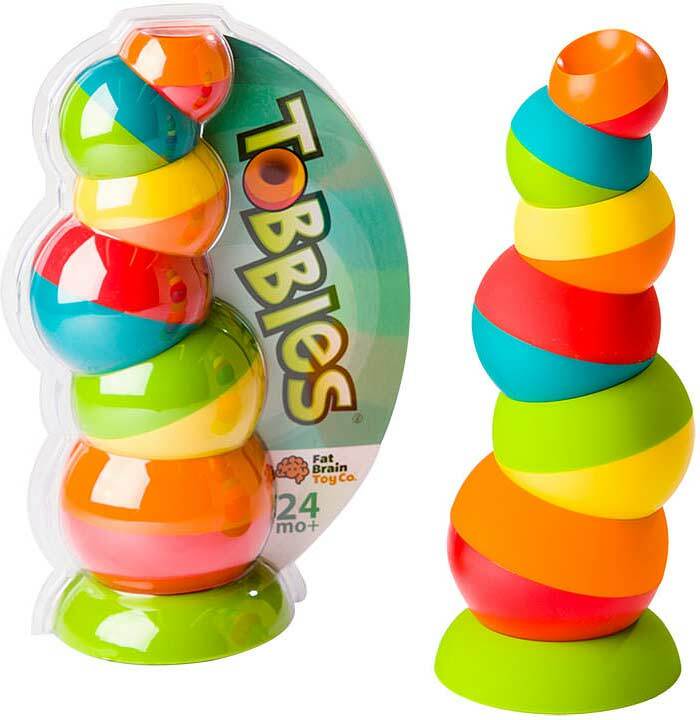 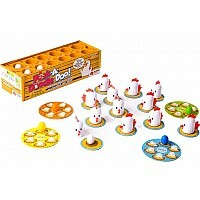 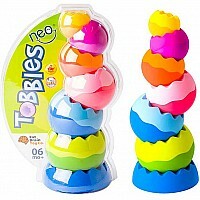 An acute sense of visual spatial awareness develops as children quickly discover color and size sequence as the explore the many ways Tobbles can be stacked and balanced. Measures approximately: 8.00 x 4.00 x 14.00 inches..